UN envoy Nikolay Mladenov denounces anti-Semitism, says global body committed to fighting it. 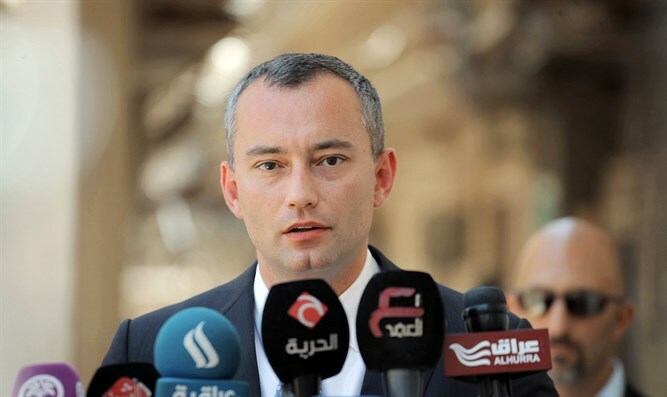 Nikolay Mladenov, the UN Special Coordinator for the Middle East Peace Process, spoke on Monday at the 6th Global Forum for Combating Antisemitism being held in Jerusalem. “The most appropriate today to open this forum is to have three very clear and simple messages and to address them to all who fans the flames of hatred, terror and war around the world,” the envoy said. “The State of Israel is here to stay. It is the home of the Jewish people and in the modern context, denying Israel’s right to exist is anti-Semitism at its worst,” stated Mladenov. The UN envoy warned against incidents of anti-Semitism and racism that are occurring today in both Europe and the United States. He denounced attempts to rewrite the history of Holocaust and downplay the complicity of those who participated in it, calling those attempts “concerning”.